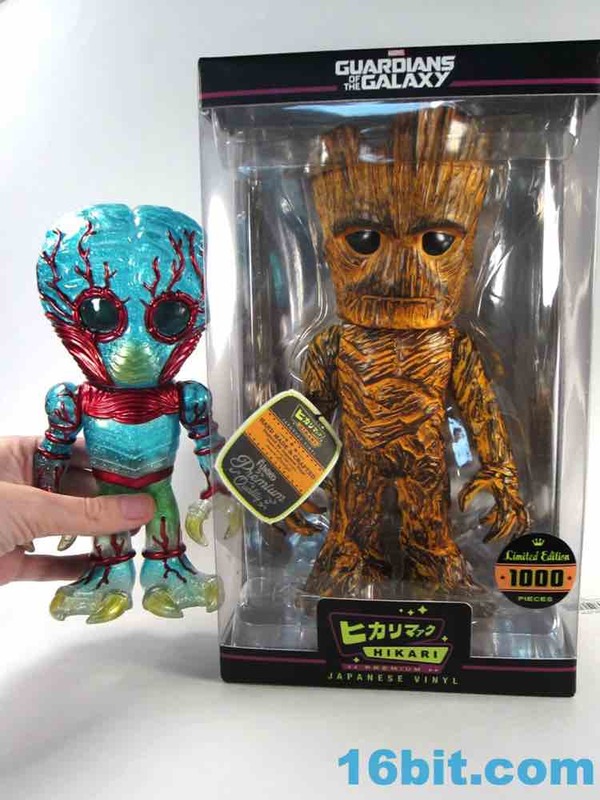 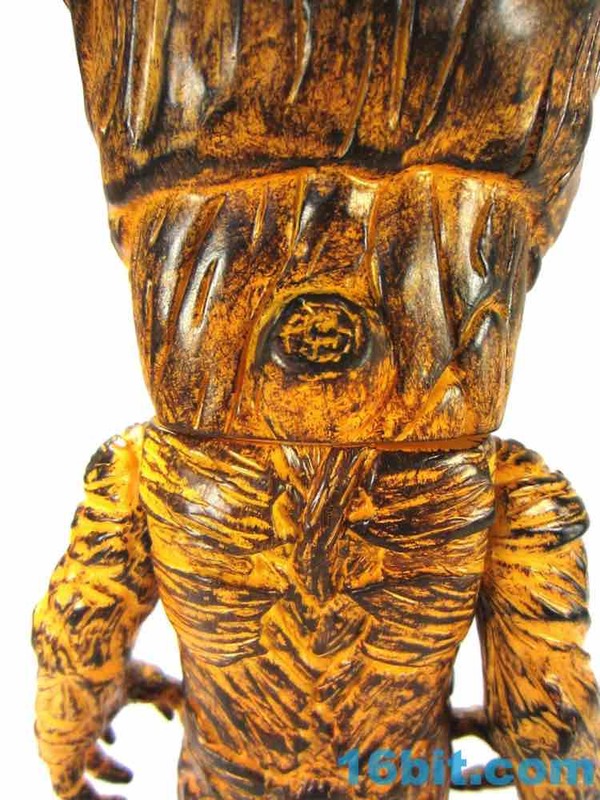 This Entertainment Earth exclusive Marvel Guardians of the Galaxy Planet X Groot showed up in the mail about a week ago and I started writing it up pretty much immediately. 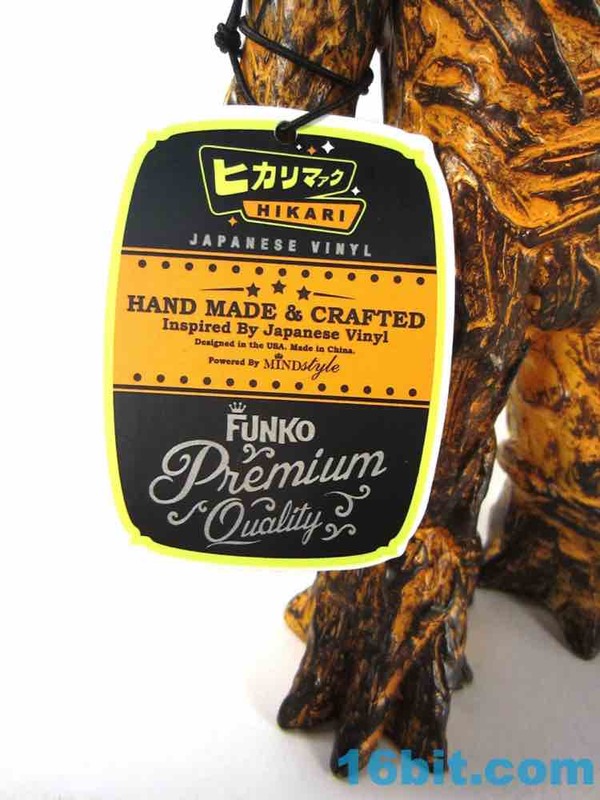 I wasn't quite sure what to expect from it - despite the fact that I work at Entertainment Earth and green-lighted this one - because sometimes the textures and colors in the picture are tough to really squint out. 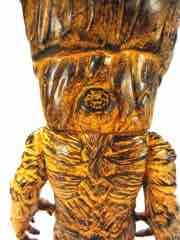 I thought Life Force Metaluna Mutant figures were opaque until it showed up in the mail! 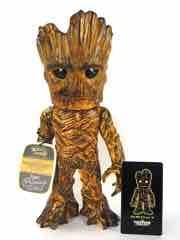 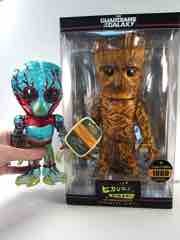 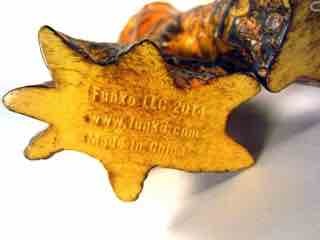 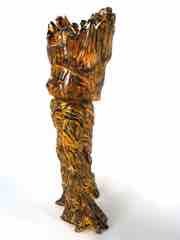 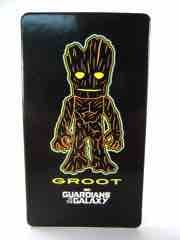 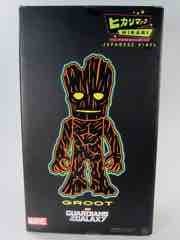 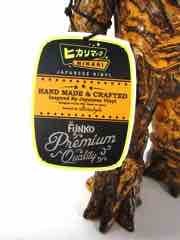 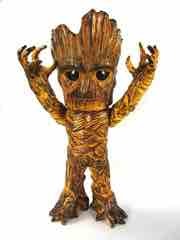 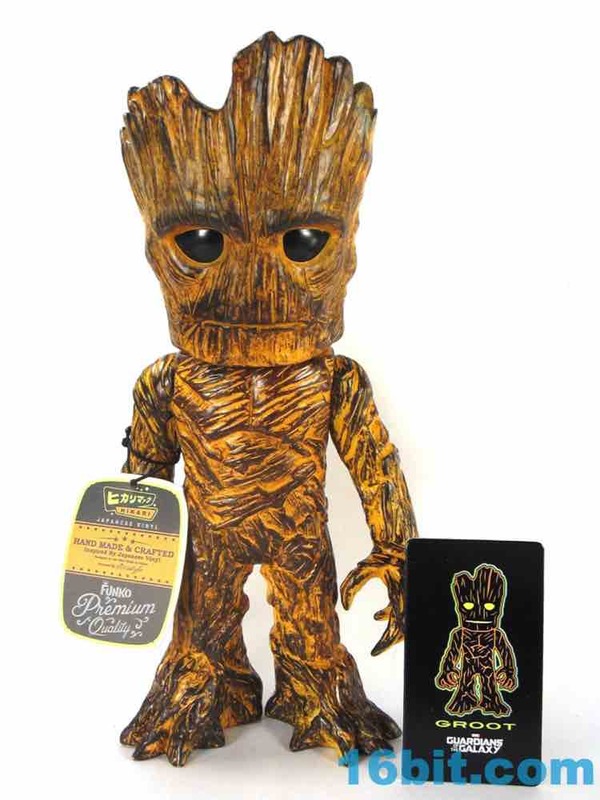 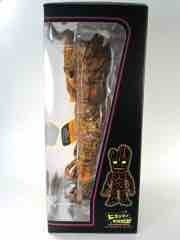 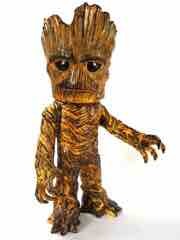 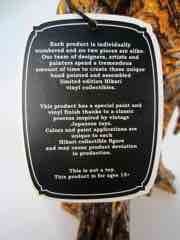 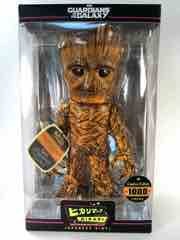 This Groot is one of at least 5 flavors so far and I expect we'll see more at Comic-Con this year. In crazy low numbers. 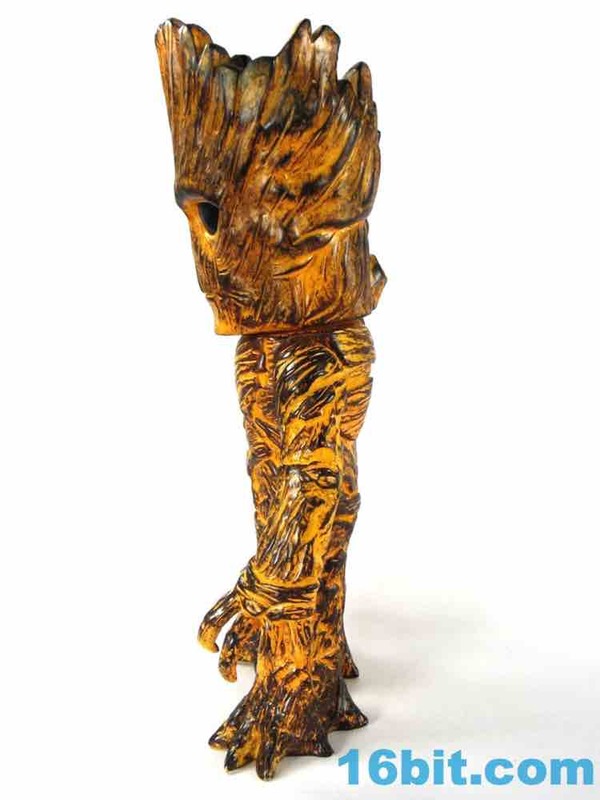 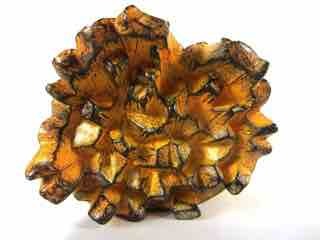 This one has a finish that I can best describe as a weathered tiki or surfboard. 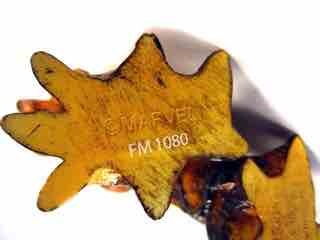 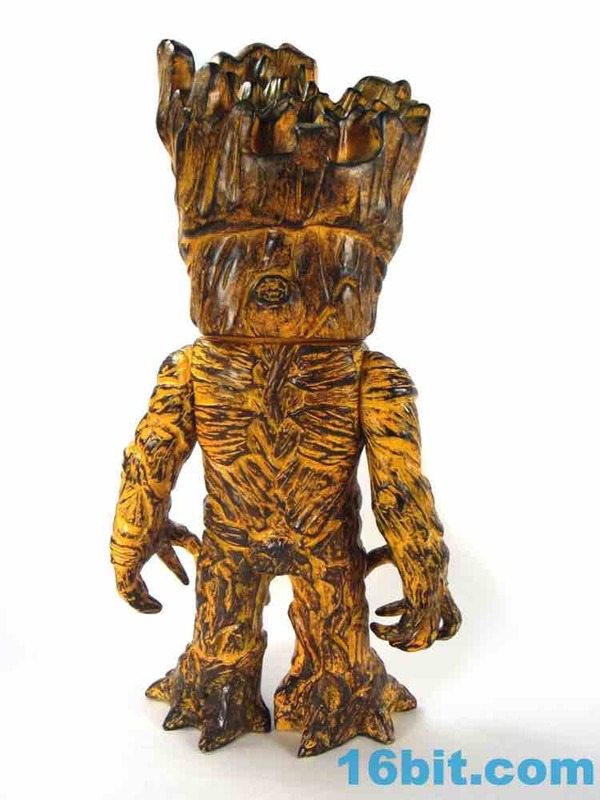 The coloring looks like wood with worn-down orange over it, so there are all sorts of etchings and wooden splinters you can see in the figure which really pop well with the orange wipe. 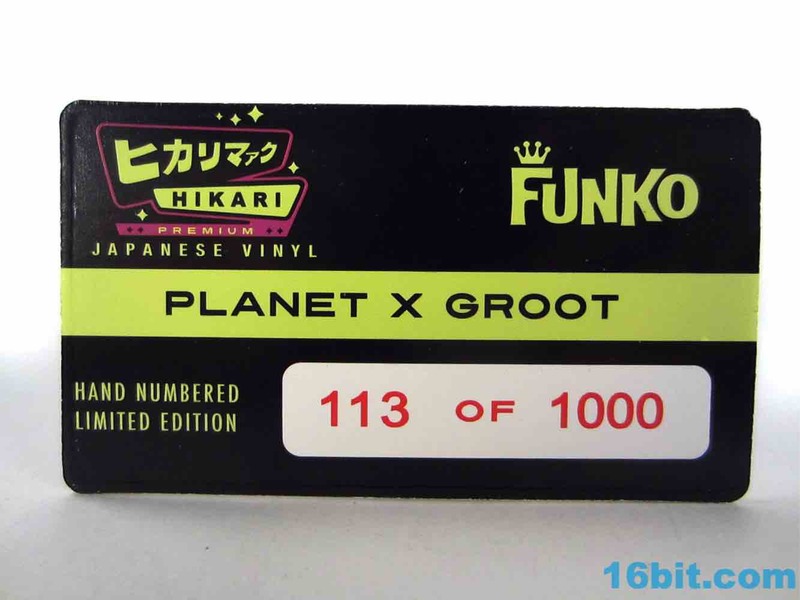 I assume all of this is lost in the clear versions. 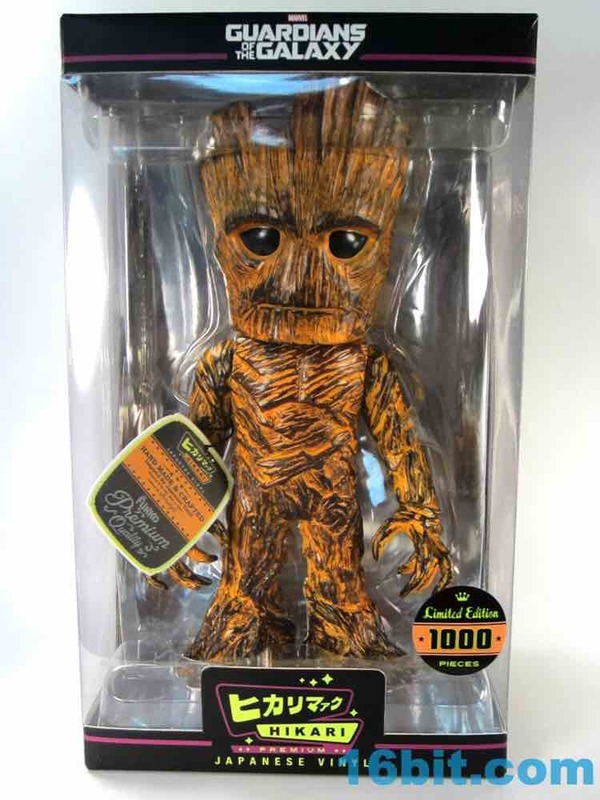 His face isn't exactly happy, but it's similar to the personality of the big Hasbro figure from last year. It's also taller - Hikari Groot is about 10 1/2-inches tall at his highest point, standing tall above the other Hikari figures I've bought so far. Built like the other figures, Groot has an articulated neck and shoulders for a grand total of three points of articulation. 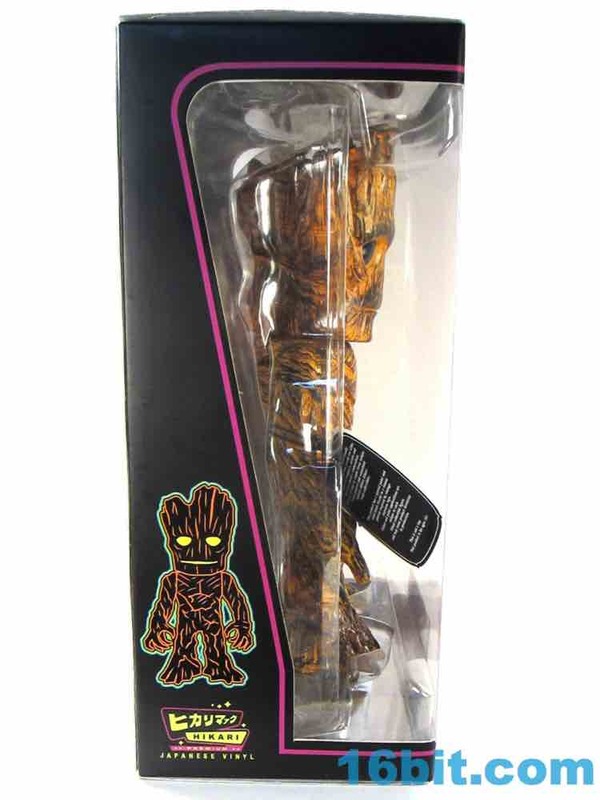 So that's not terribly impressive, but the figure itself really stands out on a normal desk of toys. The orange is bright and looks like an old, worn-down toy which means that compared to bright glittery figures it's not quite as jolly. 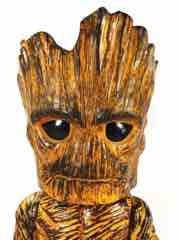 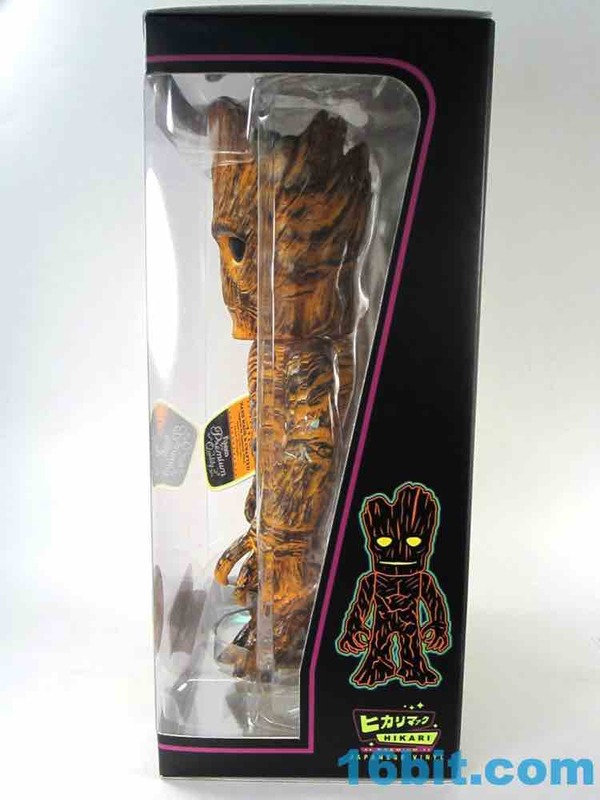 Groot doesn't come off as a happy toy, but well, he is Groot. 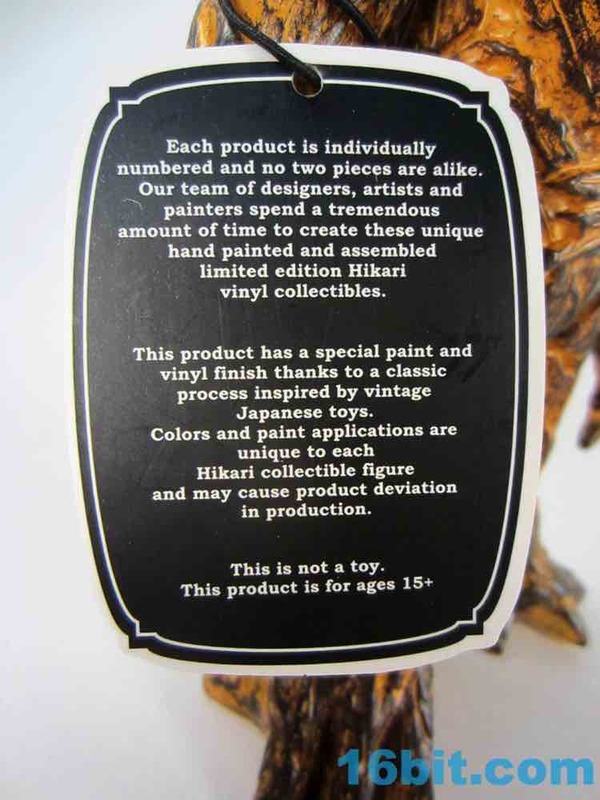 If you only buy one Hikari figure ever, I'd go with something cheaper just because I'm really digging this line, and "cheap" means "you can buy more than one," and that's really my goal in life. 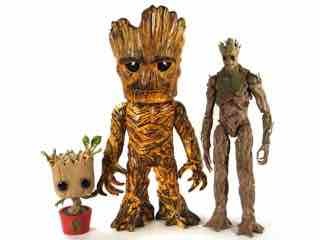 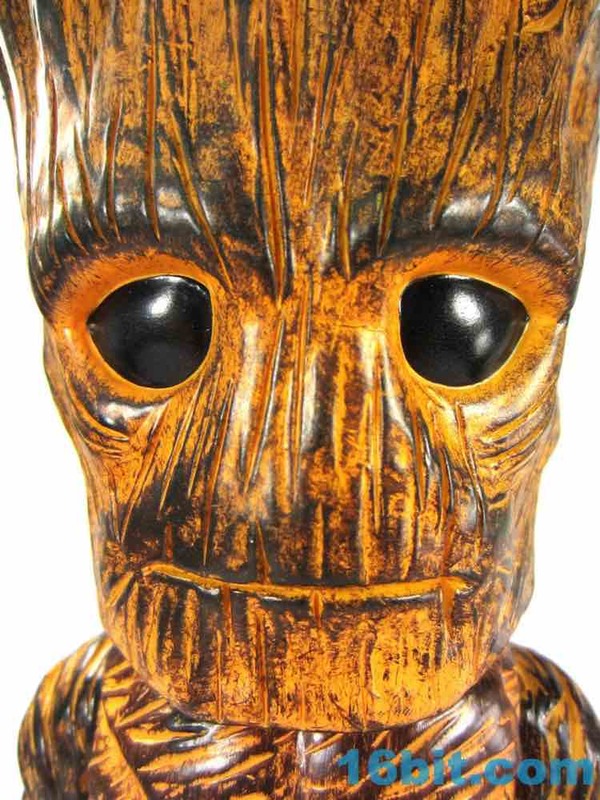 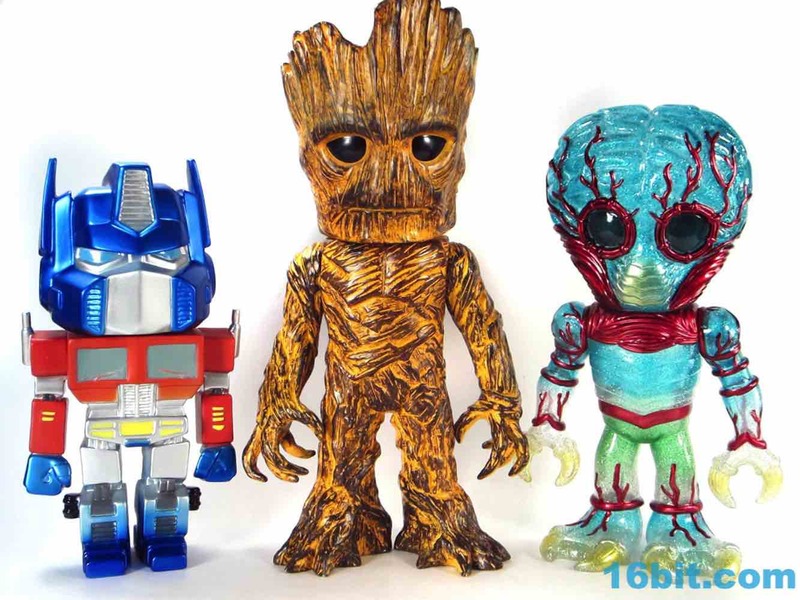 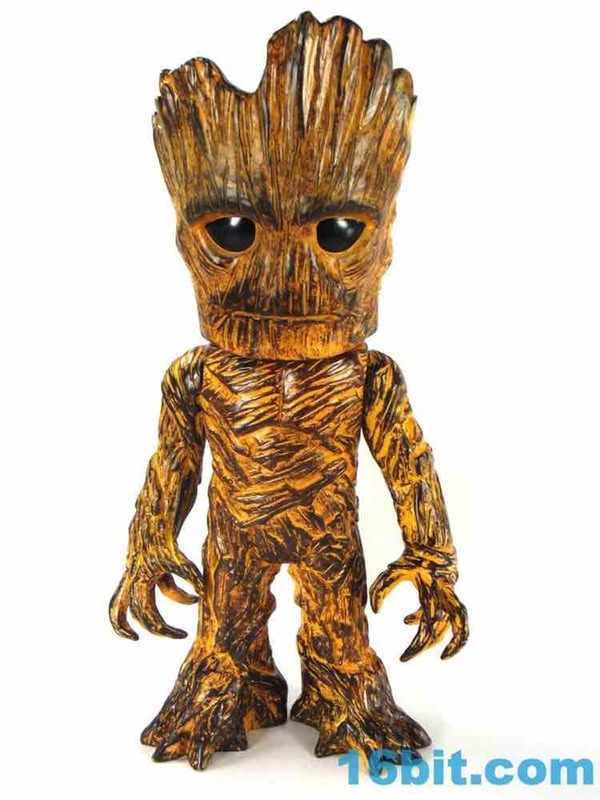 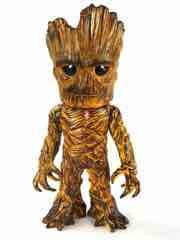 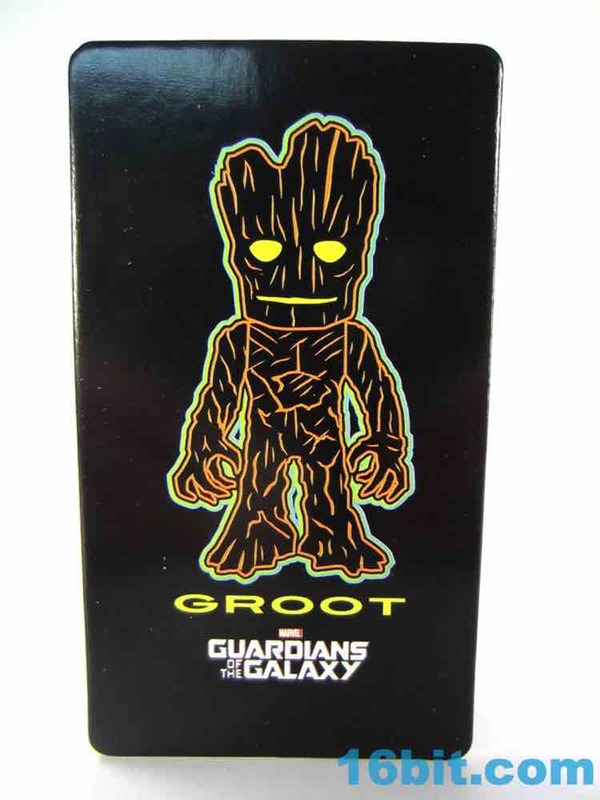 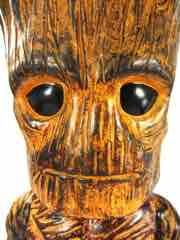 I'm digging Groot a bunch but I don't know that I'll be buying another one of this mold unless it's like flocked, or mossy, or glows in the dark.